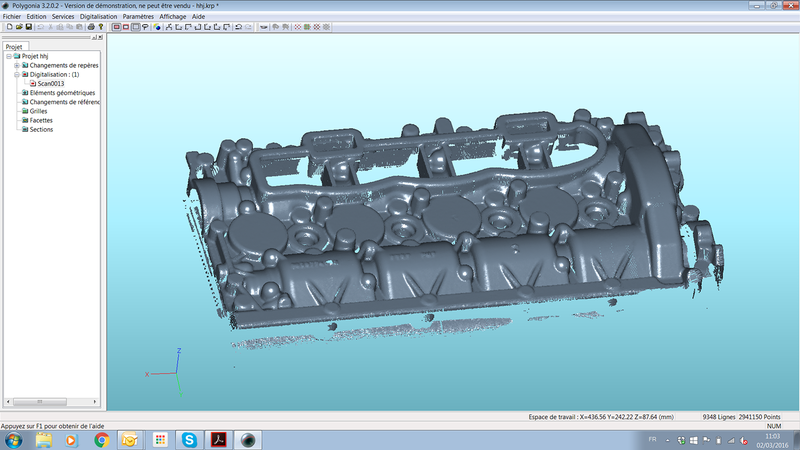 Export file formats: IGES, ASCII, DXF, STL etc. 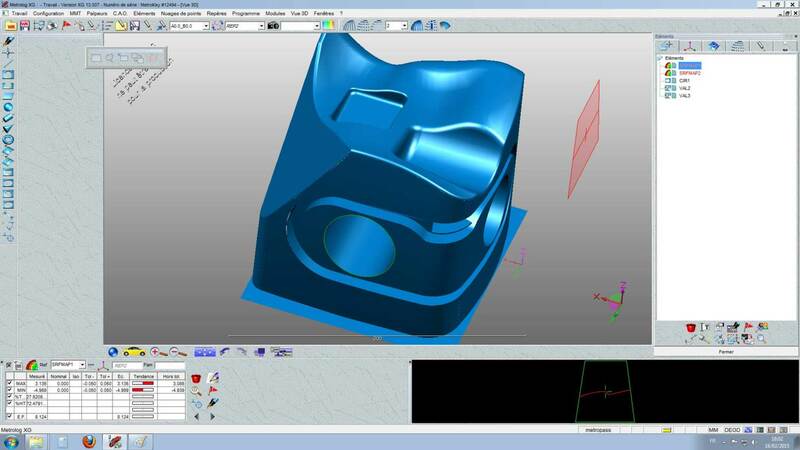 Moreover, the software plug-ins can be installed into the major third-party programs for inspection, 3D measurement and reverse-engineering (please see below for software compatibility). 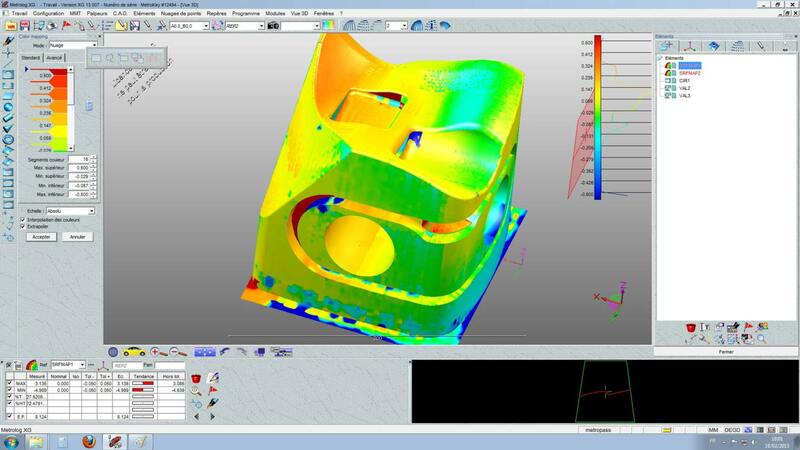 They combine the main capabilities of Polygonia and external programs. Polygonia (as well as all Kreon scanners and arms and the Toolkit on which the plug-ins are based) is compatible with Windows 10, Windows 8+8.1 and Windows 7 (all versions: Pro, Family, etc. ; on 32-bit and 64-bit platforms). 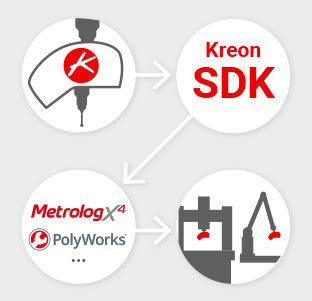 Polygonia SDK offers all the necessary development tools to interface Kreon scanners with any arm or machine in a third-party application. Therefore, Kreon provides customized solutions for the users of our products and develop the best solutions for their specific needs and applications. Reliability is our motto. To use Kreon scanners in a 3D application not listed above, please contact us to request the Polygonia SDK (if you are a software developer) or to make a Polygonia plug-in for this application (if you are a customer). 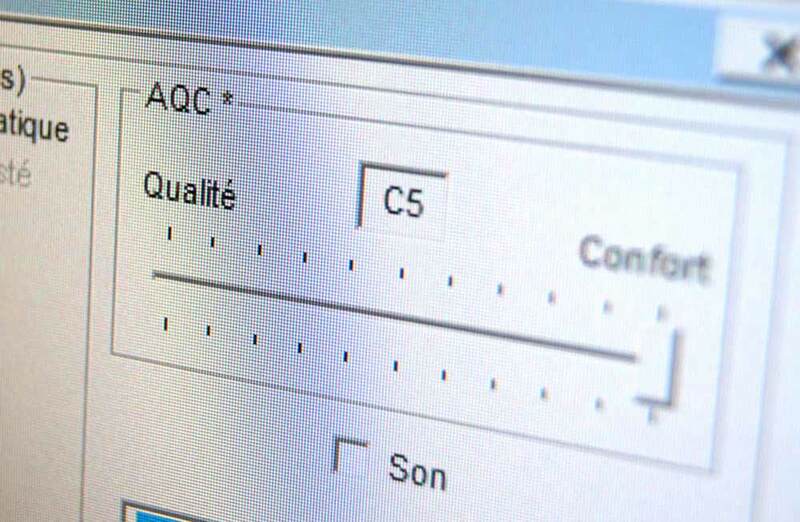 The Auto Quality Check functionality increases the system performance, accuracy and data output. 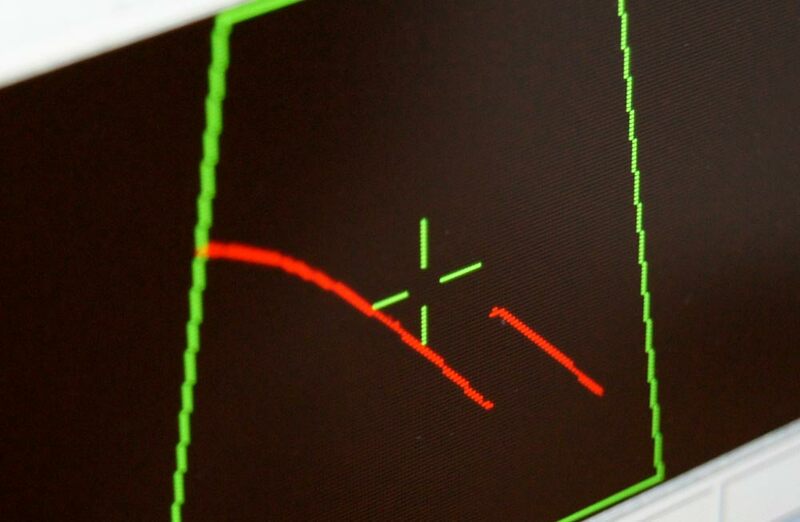 The AQC makes it possible to automatically control scan data quality.